Our septic services in Belleview, FL are complemented by competitive rates and technicians who care about doing the job right the first time. Your septic company should be able to take care of all of your septic system’s repair and maintenance needs. At Marion Pumper, we believe that we should be your septic company of choice not only because our selection of septic service is comprehensive, but also because we’re dedicated to complete client satisfaction. The best part is that all of our septic services are complemented by competitive rates and technicians who care about doing the job right the first time. At Marion Pumper, we realize that when it comes to taking care of your home or business’ septic system, experience matters. 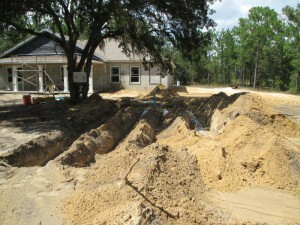 You can rest easy when you turn to us for septic services knowing that we’ll be able to meet your needs because we’ve been working on septic systems in Florida since 2007. The best part is that until we’re sure that your septic needs are taken care of, we won’t stop working. If you have any questions about our septic services and what we can do to keep your septic system in good working order at all times, give us a call at Marion Pumper today. We serve Ocala, The Villages, Leesburg, Marion Oaks, Silver Springs Shores, Ocklawaha, Silver Springs, Huntington, Summerfield, Oxford, Wildwood, Lady Lake, Weirsdale, and Belleview, Florida.